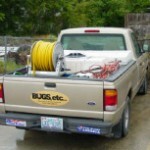 Bugs, Etc – your home for do-it-yourself pest control. Home, lawn and garden pests can be effectively controlled with our products. We have the the applicators and products for open areas, crack and crevices, under the house, and inside cabinets. 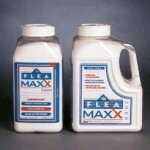 For pet owners, we have FleaMaxx, the granulated powder that sifts into the carpet to control flea infestations for a whole year – guaranteed! We are a local business, and have been serving the Wilmington area since 1994. We are more than familiar with controlling the bugs in our area, including fire ants, termites, fleas, roaches, carpenter bees, ticks, earwigs, meal moths and spiders. We offer D-I-Y supplies so you can do the work yourself, or our trained professional operators will treat your property to professional standards.